Diagram of rainwater harvesting - use washing machine and toilet in the house and garden watering. Up to 50% of treated tap water can be saved by replacing earthworms. Water tank - plastic tank - opaque PE - for aboveground tanks prevents the penetration of sunlight. 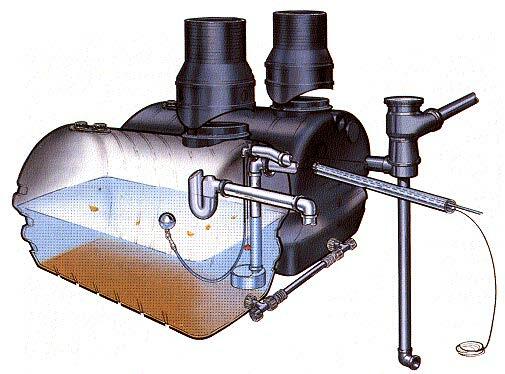 Structurally the tank solved favorably for the user - so as to easily maintain clean.